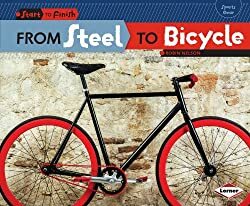 Booktalk: How does steel become a shiny new bicycle? Follow each step in the process—from shaping the steel to testing the finished bike! Most bike frames are made out of steel. Steel is a metal. A furnace heats the steel in a factory. The steel gets soft. Do you blog about science or math? Share your posts on this STEM Friday group blog. Lucha Lizards: Chameleon Cage Match! There are books that don’t receive sterling reviews but are worn out by young readers. Sometimes reviewers just don’t get the joke. Lucha Lizards is one such book. In this graphic novel, a town of lizards love to wrestle. Lucha libreis a form of wrestling where wrestlers wear colorful masks. Most of the lizards in Luchaville grapple. 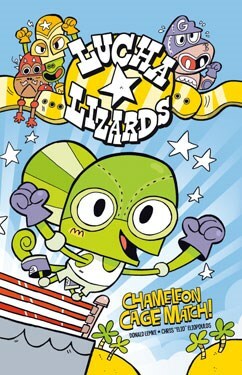 The only exception is Little Leon, a chameleon who likes to hide at the mere mention of wrestling. All is well until a giant komodo dragon comes to town. He challenges all of the lizards and easily defeats each opponent. What’s cool about this book is through the dialogue you learn facts about reptiles. On page 7, there is a hilarious “tale of the tape” between a lizard and an amphibian. When everything seems lost in Luchaville, Little Leon hides his way to defeating King Komodo and capturing the belt. I asked my fourth grade daughter about this book and she said it was funny. I grew up watching professional wrestling so I thought it was funny too. 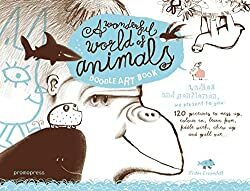 It would be a good assignment to hand this book to a reader and ask them to pick out several facts about reptiles. There is also great banter between the lizards and King Komodo that could be used for a lesson on synonyms. We need more mash-ups like Lucha Lizards to engage readers and spice up the serious world of nonfiction. Are you ready to jump into space? To boldly go where no man has gone before? If so, you’ll need a handy field guide to extraterrestrial life. 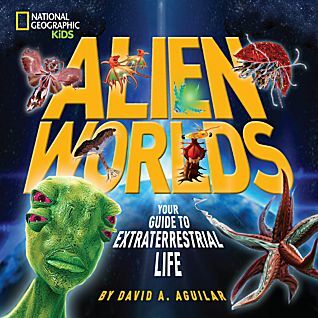 David Aguilar’s new book may look like science fiction… but it’s not. 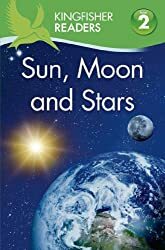 Aguilar, who directs the Science Information at the Harvard-Smithsonian Center for Astrophysics, has written a number of nonfiction books about space – but he wanted to write something that would appeal to kids. Especially kids who love adventure. So in this book he invites readers to enlist as “alien space scouts” to search for life on eight new worlds. Space scout training begins with a briefing on how planets form, where to locate habitable zones around stars, what types of “Earth-like” planets we might find, and how to identify life on another planet. He includes the obligatory warning: Do not try to feed these life-forms. Some of them sting or bite, with nasty consequences. Then it’s time to suit up, fuel the rocket and head out to explore. There’s Ocean World, similar to a young sea-covered Earth with a few emerging volcanic rocks. Life on this world looks a lot like what we would find if we visited Earth 450 million years ago, says Aguilar. There’s a desert-like “Dying World” where temperatures range from 85 to 140 degrees Fahrenheit – a snapshot of what Earth could be like a billion-and-a-half years from now. “Sleepy Hypnos” is a planet that, with three earth-years of winter, is populated by a variety of life-forms that undergo metamorphosis. And there’s “Rogue World” where life has evolved from metal, glass, and energy fields. For each world Aguilar provides a field guide to the aliens, with in-depth information about life under those environmental conditions. Truth is, says Aguilar, we don’t know what life on other planets will look like. But we do know about the diversity of creatures that have lived – and are living – on our own planet. And though he doesn’t come right out and say it, this fun exploration of other worlds underscores just how important habitat is to life. Booktalk: Introduce young readers to the sky above with this Level 2 beginning reader. The Sun is giant star in space. it makes the star glow! Do you blog about science or math? Share your posts on the STEM Friday group blog. 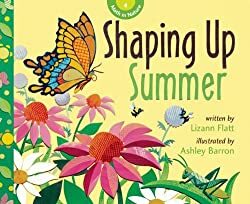 Booktalk: Nature comes to life to help children grasp the concepts of geometry, symmetry, and spatial sense. It’s mathematical problem solving combined with poetry! that we see it as a circle. This week’s Poetry Friday Round-up is hosted by A Year of Reading. Do you blog about science or math? Join us! Share your posts on the STEM Friday group blog.